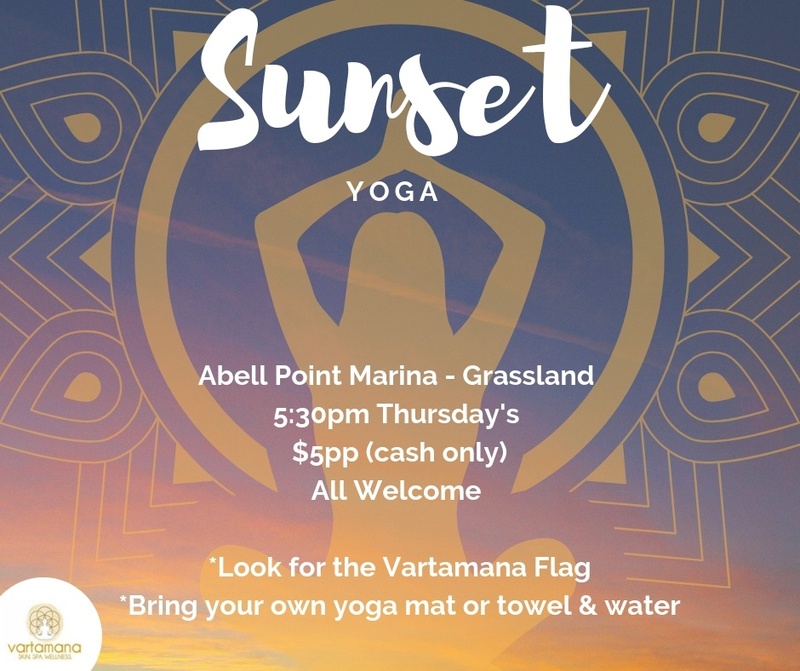 Enjoy a evening of relaxed yoga watching the sunset at Abell Point Marina. Meet on the grass in front of the new parkland – look for the Vartamana flag !! Bring your own yoga mat or towel, water bottle and a friend!